Focused on technology integration and its ability to enhance the delivery of content in the classroom, Jason Beach teaches a variety of courses that are related to technology application, research methodologies, and adult education as it pertains to teacher training. 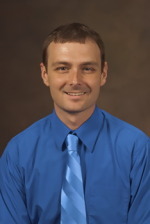 Jason received his Ph.D. from the University of Tennessee in Instructional Technology. His research interests include augmented reality, virtual reality, assistive technologies, adult education, S.T.E.M., E.L.I.T.E training model, and T.P.A.C.K.